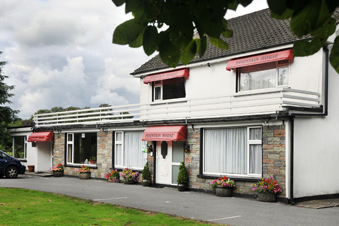 Fountain House is a beautifully furnished and welcoming home on Inniscarra Lake with its own private shoreline. There are six spacious and well-appointed bedrooms complete with ensuite bathroom facilities amd you will find and excellent breakfast menu. There are tea and coffee making facilties and evening meals are available on request. The popular local pub is a five minute taxi ride. Fountain House has its own own access to private fishing just a few yards walk from the garden. Like everywhere on the system, this lake is brimming with roach, rudd, hybrids, bream, perch and pike. Every method works – feeder, float or pole – and fish can even caught caught on a short pole to hand! Inniscarra Lake is a massive waterway with 25 miles of bankside and its features include fast running waters and rarely fished shoreline on the upper sections. Secluded fishing on a comfortable shoreline only a few yards from the garden has to be a massive plus – especially when the lake is stuffed full of fish. 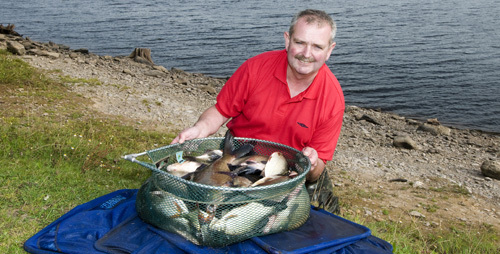 The spacious bait and tackle room has five large fridges and there is water to hose down tackle or mix groundbait.